Holy crap! I wish I could be earning a fraction of what your hourly rate is (I can't even think of a non-freelance job that rivals your "wage" per hour). Guess it just comes down to the type of writing you do and who/what your prospective clients are. YOu can Daniel. You're too cheap and I'd even hazard a guess that it's working against you. Haha, if I could, I would. Sadly, my rate is the least of my worries. 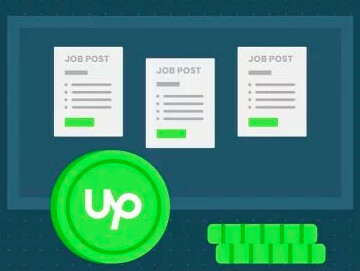 There's very rarely any work on Upwork (to be honest, I'm happy to engage in the forum, but would prefer not to actually work on the platform). I'm struggling to find paying clients (for doing news writing, that is—feature/opinion pieces can easily be sold for decent amounts if they commission the idea/pitch) to start with, so I doubt upping my rate would do anything for me. Seriously, a load of sites don't have any paying opportunities and it's hard to break into the bigger outlets, though I am using Twitter networking to reach out to sites' editors/managing editors about potential work. However, I'm not holding my breath on making anything close to what Rose earns, as I hear that video game journalists are notoriously underpaid, which presumably goes for both staff and freelance writers. One of the most highbrow outlets pays $0.25 per word for features/opinion pieces, which I don't think would equate to $100 per hour, even for the fastest thinker and writer. Then again, this also comes down to the economy of your own country. Salaries in places like the US are far, far higher than here in the UK, so whether an asking price is "too high" or "too low" is really a matter of perspective (this is, presumably, the source of cheapo clients—in their country, $5 for X work is reasonable or perhaps even well-paying, so freelancers from that country or somewhere with a far cheaper cost of living happily apply). Assuming you're earning $100 gross (i.e. after Upwork fees) per hour, working 30 hours per week, you're earning almost as much per year as a CEO here in the UK would (average salary). According to this, that's more than a doctor/medical professional is earning. So, yeah, Americans in higher paying jobs are earning ways more than their British counterparts. The disparity in rates really comes down to where you live and how much it costs to live and buy things there and, in some cases, which area within your county you reside. Living costs are crazy expensive in London compared to the rest of the county, so wages there are higher. Therefore, freelancers living in London would require a higher rate for their work to live comfortably and pay their bills, rents/mortgage, buying food, etc. This is the reason why I don't always think a global platform is a good thing, especially for those in western countries. Just exaggerate the US vs UK thing and you'll understand why there are so many clients with low budgets. That's an apples and oranges comparison. A quarter a word is not a bad rate, and it's also at a different market tier than $100/hour (which for me, as a slow writer, would be closer to $1 per word). Really where people live and what their nonbusiness expenses are have nothing to do with pricing. I believe the majority of clients and bulk of revenue come from the US. 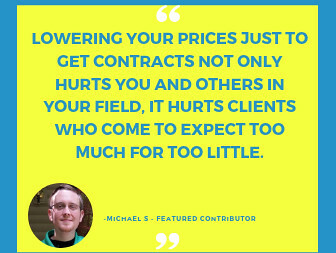 That's your market, which sets your prices—that is, sets the value of what the best clients are willing to pay. Some of those clients exist here, though they may not exist in your niche. So you might need to reconsider your niche if you want to make better money here, or lower your expectations here while pursuing your niche elsewhere. As far as I can tell the hourly rate on your profile means nothing. Bcuz when you bid on a job you put whatever u want there. Welcome, Rose. I second pretty much everything that's been said here and don't have a lot to add, except that I want to temper the bleak suggestion that it will take you six months to a year to build up a history. 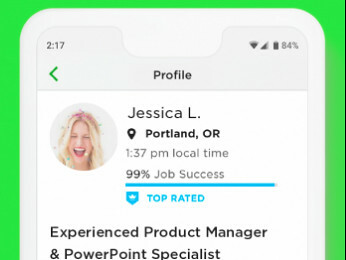 I think that it took me about a month to get my first job on Upwork, but within 6 weeks of landing that first job I had to set my status to unavailable. Coming in with a strong background in a specific area makes it much easier to get rolling. Daniel P., my rate is over $100 p/h and that is not unusual for writers or artists - and possibly web gurus but I don't know. We have the flexibility to adjust the rate contingent on the specifics of jobs and again, writers really can't use the time tracker for reasons stated earlier. Er uh, Wendy. Your last job shows you did that one for $15. And the other one $150. And I see you've only done 2 this year. And then it does not show that you have any in progress now. So you must be earning the big bux elsewhere, si?